I am joining again this week with bloggers who Teach Second Grade. 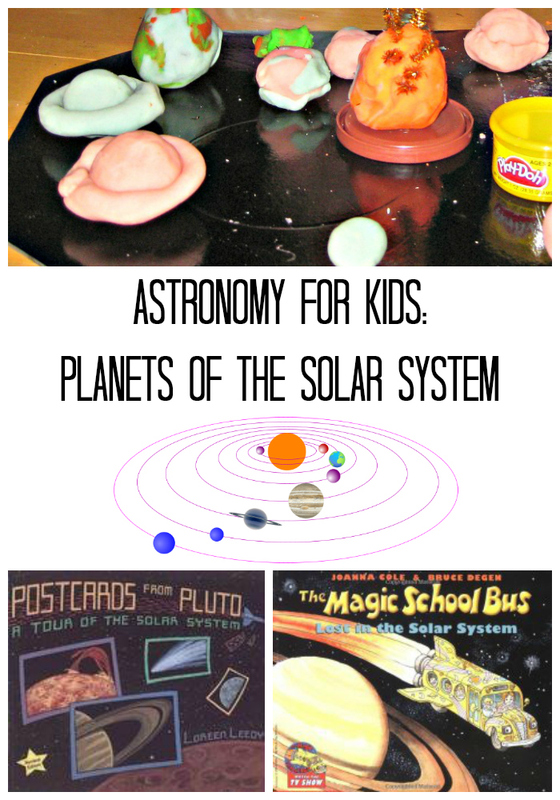 The topic today is Solar System, and I will share activities that we have done at home for this fascinating topic. I suppose science curriculum keeps shifting between grades in elementary school – some schools do Solar System in the second grade, but Smarty had astronomy unit in the third grade. It was a blast! Of course, students read dozens of books on the solar system, and each of them picked a planet to research and to write a report about. Smarty’s planet was Venus, but she learned a lot not just about Venus, but about all planets. They also had a myth unit to go along with this study of solar system and they learned many constellation myths and even wrote their own. They drew and wrote about things that they would take with them if they were going to establish a lunar colony, and they also had a field trip to a local Planetarium, but Smarty missed it because she was in Germany at the time. Most of the things in this unit were not at all new to Smarty, since she had deep fascination with all things space since she was in preschool, and we always supported her interest in space. We cooked it until it became pliable and then added different colors to different parts of it. I didn’t have any particular project in mind, but Smarty knew exactly what she wanted to do with this playdough. She wanted to make a solar system! She also added some “real” Play-Doh to her project, since we couldn’t produce bright colors of real Play-Doh – we would need either a lot more food coloring or, perhaps, liquid watercolors. Even at 5 Smarty was able to tell quite a bit about different planets, their characteristics and their place in the Solar System. She was so very proud with her completed system and could not wait to show it to Papa – you can see that picture in the first image of this post. Her interest did not wane so far like, for example, her interest in dinosaurs. She really enjoyed watching Cosmos episodes on NetFlix lately even though she found some parts of it about the speed with which we consume natural resources of our planet depressing and scary, and I have to agree with her on that. Postcards from Pluto by Loreen Leedy from our own library was a favorite in our house for years, and Smarty still rereads it quite often. For such a short book, it packs an awful lot of information. The book is old, so, yes, Pluto is still a planet! Magic School Bus Lost in the Solar System is also written at about the same time, and I believe some of the action is happening on Pluto as well. As any good old Magic School Bus book, this one has a lot of details in the dialogs, illustrations, and the fact inserts on every page. Interestingly, Smarty enjoyed this book at home, but suddenly completely flipped out when the teacher turned on a movie version of it during a rainy recess. She does not like intensity of most movies, and she did not enjoy the part where Albert’s head gets frozen solid even if she knew that all would end well. Gift of Curiosity has a list of 9 books about Solar System worth checking out. Yes, we read almost every one of those too. Are your kids interested in space? Perfect hands-on way to learn about the solar system! Everyone loves playdough! This reminds me that I have been meaning to do that play dough earth activity for ages. I bet my kids would enjoy this one as well! Look at how little she was! Our kids are getting so big.